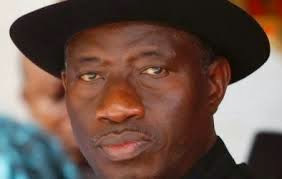 Armed gunmen have again struck in the creeks of Bayelsa State, kidnapping two maternal cousins of President Goodluck Jonathan at Akipelai in Ogbia Local Government Area of the state. The victims, both female, identified as Patience Egbeni, 35, and Kate Eni, were reportedly seized, Tuesday, at gunpoint and whisked away from the sleepy riverine settlement, home town of the President’s mother. Eyewitnesses told Vanguard that the six unidentified gunmen, clad in military camouflage, stormed the community at about 8.30a.m. and abducted the women from their provision stores along the waterfront. The gunmen were said to have forced their victims into a waiting speedboat and disappeared into the creeks. An indigene of the area, who identified himself as Kingsley, said: “The victims are two maternal cousins of the President. Contacted on the development, Police Public Relations Officer, Butswat Asinim, said the gunmen were clad in military camouflage. He said the marine and anti-kidnapping squad of the police, including the Joint Task Force, JTF, Operation Pulo Shield, had been contacted. Meanwhile, Ogbia clan of Ijaw Youth Council, IYC, Worldwide, yesterday, called on the kidnappers to release the women with immediate effect. Chairman of the clan, Osaanya Osaanya, said no ransom should be paid for the freedom of the victims. He said: “We are calling on the kidnappers to, as a matter of urgency, return those innocent women. We will go after them if they refuse to heed our call. The incident is coming less than four weeks after the Chairman of Ogbia council, Mr. Enaye Abah, was kidnapped and regained his freedom after five days in captivity.